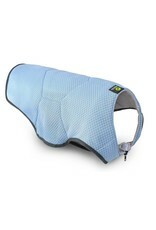 This is a superbly made cooling vest for your dog, that will cool your dog in an innovative way. By using the materials very smartly, you just to make the cooling vest damp. 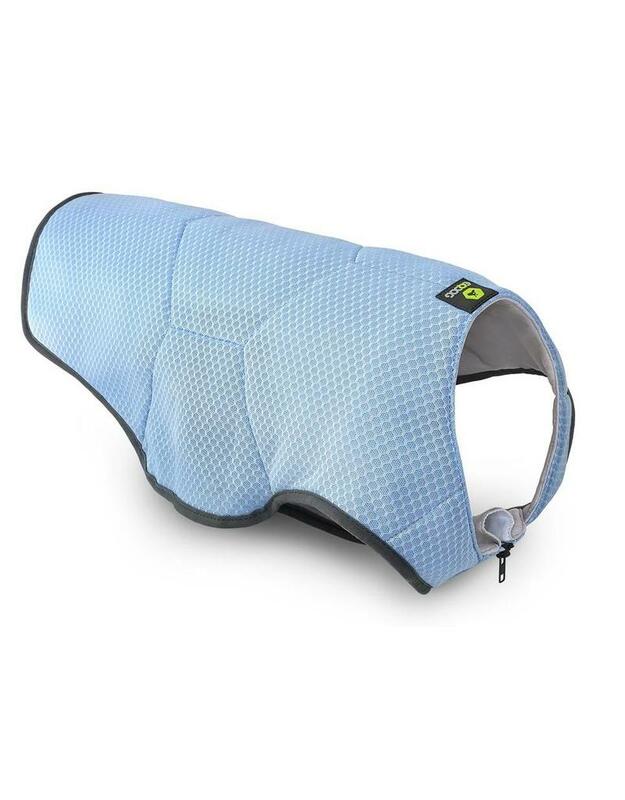 It will start cooling your dog's dog by moisture evaporation . As long as the vest is damp, it will cool your dog ! The vest has been designed superbly, offering a sleek design that will cover all your dog's important organs. It is very easy to put the vest on or off. The special nylon material breathes, cools when damp, absorbs moisture very fast and has mesh on the inside. Without any doubt, this is the most advanced cooling vest available today. Measure before you order, klick here how to determine the correct size.